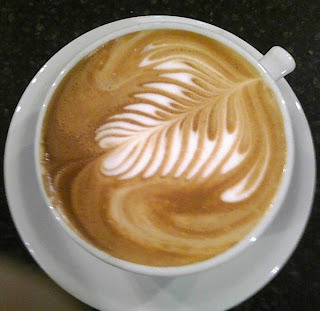 Blue State Coffee Latte Throwdowns: Round 23 winner! Congratulations to Emma Messore of 84 Wall Street for winning with this beautiful latte! Great symmetry and interior definition, and a sharp contrast. Round #25- Happy New Year!